Response time - 10-15 minutes. We supply LG laptop batteries from LG Netbook X series to large 17 inch S series. You can buy from high quality, replacement or original LG batteries since Three.ae for a low price. LG laptop batteries are come in 3 colors and make sure to check with our sales team for the correct color. Price may vary for different color even if it’s under same battery model number. In the UAE most common LG batteries are the R400 and R410 series and we have standard and high capacity batteries for an affordable price. High quality standard (ISO 9600) batteries. In general LG laptop batteries don’t have a good battery life. According to the CNET actual battery life of a standard LG battery is from 1 hour and 32 minutes to 2 hours and 14 minutes. Where can I find the battery model? Try to locate on your battery left hand corner for the model number. It should start with SQU or LB. 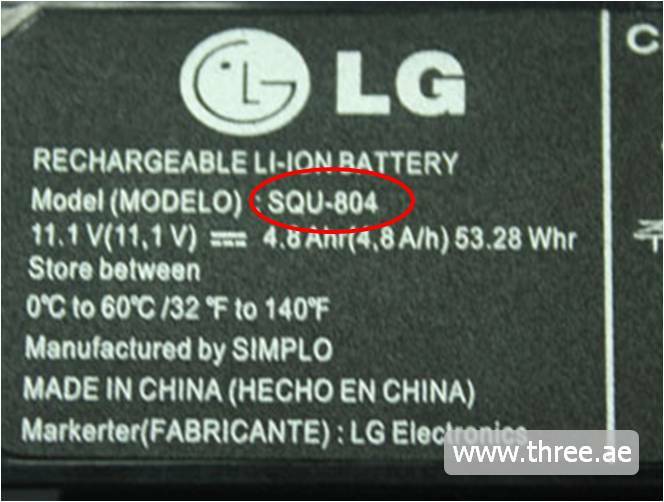 We also have seen some LG batteries model start with LM, LR or EA. Just to avoid the confusing the best advice is to contact us. 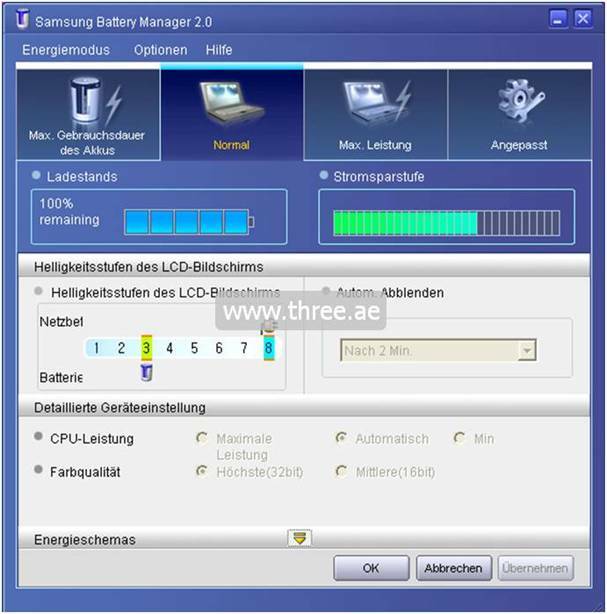 If you unable to find the battery model you also can give us the laptop model to find your battery details. Can't find your model number? Don't worry send us your inquiry, we will update you asap.